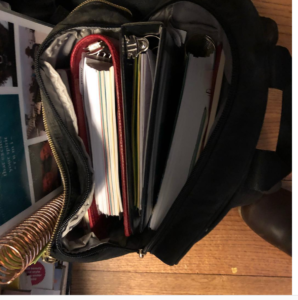 I posted on instagram (Click Here) and Here (though the instastories will only be up for about 12 more hours) about my organizing of journals, agendas and bullet journals for the new year. A reader asked whether or not I begin a new one each year. For the last 8 years my blog has been my journal but as I have been moving back to larger writing projects along with teaching and coaching I find myself reaching for a place to write my thoughts. After years of blogging and using social media I find myself wanting a private space for just me and my thoughts. Not everything needs to be public. I began keeping a journal off and on at age 7. The first one being a diary with a lock and key. I always had one going in junior high and up until I had kids. Then other things and people took my time. I kept a journal during acting class which covered class and my personal thoughts and I kept a writing journal with story ideas and songs that I had written in the heat of the moment. The most important thing to me is to keep writing–books and journals. This year I have branched out in hopes of developing a meditation practice that works for me. I love yoga and it is a gift every time I take the time. I have trouble making the time for meditation on top of my yoga class. So i try to meditate where I am. In the moment I am in. 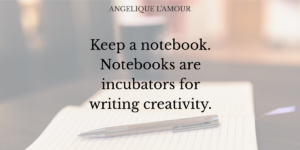 Now I am adding journaling with Danielle LePorte’s journal. It asks good questions to focus my intentions. After years of online only calendars I have returned to a written agenda. I am using both online and written as well as a bullet point journal or 6. The BP journals are for organizing my money, business plans and daily to do lists. Can’t wait to have it all ready for Jan 1. It doesn’t sound like I am consolidating but I am. I am just trying to make sure that in this year, 2018, I am productive and I stop work at 7 pm every night and don’t work on the weekends unless I want to. Adding college courses made things need more organization and compartmentalization. There is a certain work load to be done each week. I will begin a course on Zombies in Art and Lit on Jan 8. I realized that all I ever needed to know about organization I learned in 7th grade. Binders are the way to go no matter what the size(along with files etc)-I love magazine files and binders –see this post:Click here to see that one–But the process of keeping my desk neat is an ongoing one. I live for organization but you would never know it by the state of my desk. It is an ongoing battle! Sometimes even an all out war!